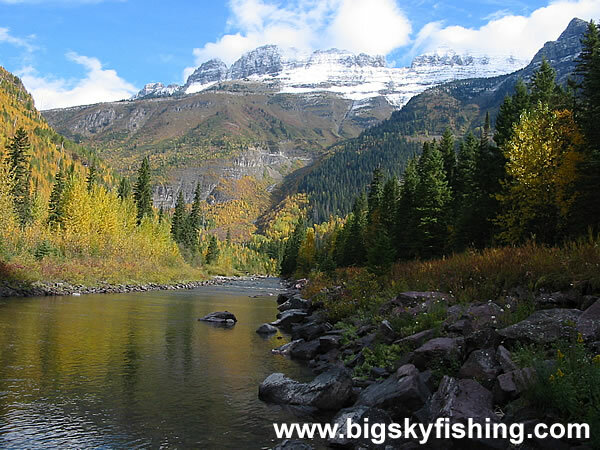 This is McDonald Creek, which feeds into Lake McDonald. The high peaks of the Continental Divide - called the Garden Wall in this part of Glacier National Park - loom far above. This view is simple to reach, as it lies right next to the Going to the Sun Road.